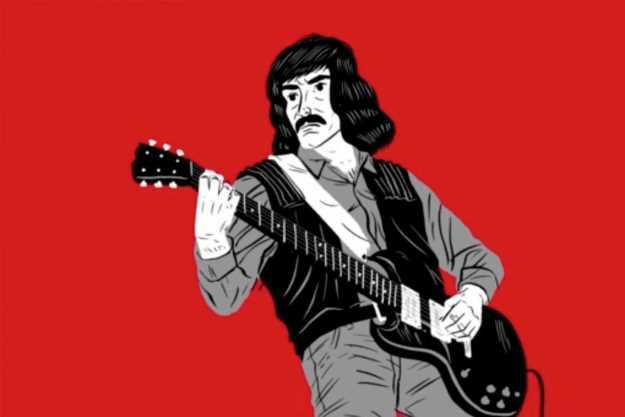 Watch this excellent animation that tells the story of how Tony Iommi pretty much single-handedly invented heavy metal guitar. Black Sabbath are often credited with single-handedly inventing heavy metal. And while Ozzy Osbourne’s ominous lyrics and satanic allusions no doubt contribute to this most divine of bestowals, it is Tony Iommi’s doom-laden riffage that most would attribute as the main influence on the genre. As the story goes, Iommi lost the tops of two of his fingers from a machinery accident at a factory he was working at in Birmingham in 1965. It was the day before he was due to go on tour with a band he’d recently joined called The Birds and The Bees. After heading home during his lunch break, his mother implored him to finish off the work day as a sign of good faith to his employers. Reluctantly, Iommi returned to the factory, and after being assigned to work on a machine he wasn’t familar with, he lost the tips of his middle and ring fingers on his right (fret) hand. Completely dispirited, Iommi almost gave up on playing guitar, but he was urged by the factory’s manager to listen to Django Reinhardt, who had also long two of his fingers in a fire. Inspired, Iommi set to figuring out ways of playing despite his disability: using lighter gauge strings, drop tunings, and playing in a sludgy style that relied heavily on power chords – elemental factors of heavy metal guitar.